Life is a continuum—an accumulation of experiences that makes us who we are and influences how we view ourselves and the world around us. 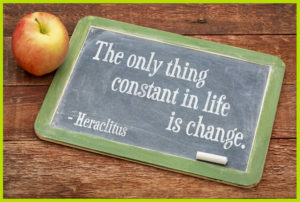 As we review these experiences, we realize that our lives have been permeated with change, and the same is also true for our financial planning clients! In fact, as ironic as it may seem, change is really the only constant in our lives. nt of your holistic perspective, and a central objective in guiding your clients to successful life transitions. practical strategies and emotional fortitude. We all encounter both expected and unexpected changes in every area of life. However, those who are resilient are better able to navigate each change, bounce back from disappointments, and welcome new experiences. In addition, because nearly all of life’s transitions have a financial tether, it is important to consider how you can help your clients to be more intentional about evaluating and strengthening their financial resilience. From a practical standpoint, financial resilience requires a foundation of basic financial knowledge and a strategy for building financial security. From an emotional standpoint, financial resilience requires self-awareness and self-confidence. This is achieved by helping your clients to identifying fears and behaviors that undermine their financial well-being, and by working to understand and overcome the underlying issues. On a personal level, your life satisfaction will increase as you yourself continually seek to respond to change in healthier and more productive ways. Similarly, your career satisfaction will increase as you guide your clients through a proven financial life planning process that focuses on helping them to navigate change and make successful life transitions. In the world of music, the “passing note” is a note that is not part of a particular chord, but is placed between two chords to provide a smooth melodic transition from one to the other. Likewise, it is important for you to recognize ways you can act as a “passing note” to facilitate successful transitions in our own life and in the lives of those we serve.